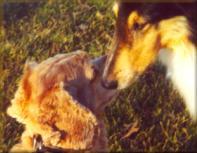 The picture above, taken by hidden camera, is of Gabby and his collie girlfriend. She lives on the corner and waits outside to see Gabby. It happens every winter in Michigan. 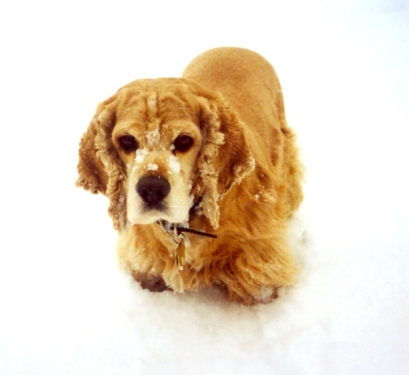 Cocker spaniels go outside to use the bathroom only to discover there's a foot of snow on the ground. 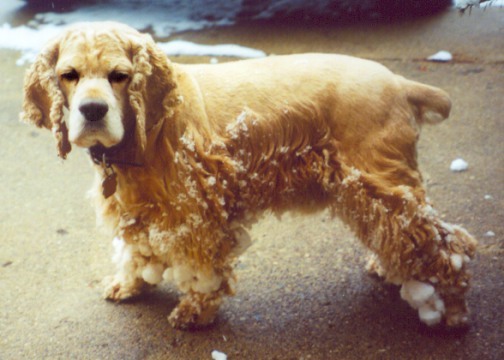 These unfortunate dogs end up with clumps of snow clinging to their fur and are unable to walk. Please send your donations to ISHTD (It Shouldn't Happen To a Dog) relief fund. 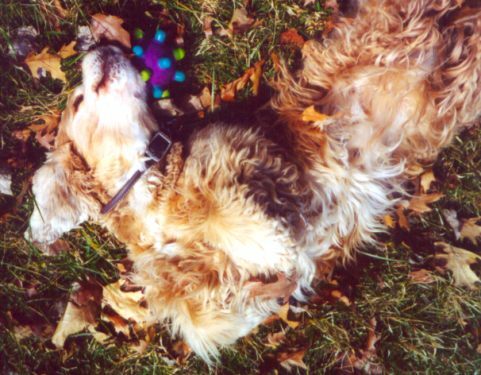 No this cocker spaniel isn't dead but it was a good guess. Actually Gabby's playing with his new toy outside. 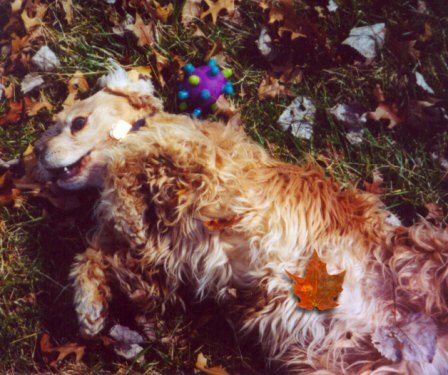 Once Gabby starts rolling around his whole personality changes. This normally docile and sweet dog transforms into an insane beast and it's best to keep your distance unless you want to loose a finger. That wild look in his eyes, those sharp fangs...sometimes you would swear those growls sound like he's talking. In all seriousness, I would like to thank all of Gabby's special friends in our neighborhood. An elderly man visits Gabby regularly and leaves biscuits at our door step. 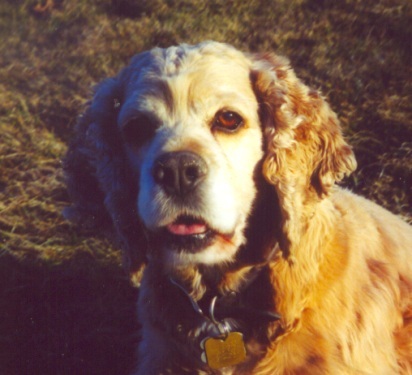 Gabby always greets him with a vigorous tail wag. 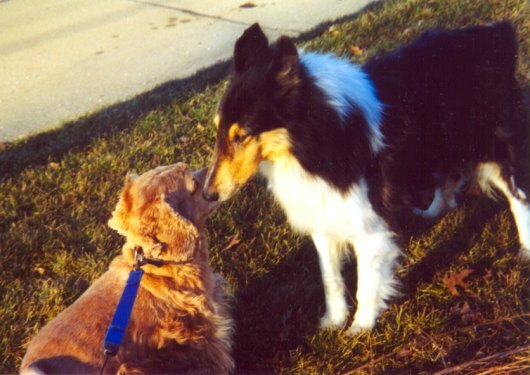 Gabby reminds him of his own cocker spaniel that died many years ago. He must have loved his cocker spaniel dearly. Our next door neighbor, who is retired, also greets Gabby with biscuits. We know Gabby's been next door because he comes back with a biscuit in his mouth. Other neighbors also treat Gabby to biscuits. It's wonderful to know Gabby brings so much joy into people's lives.